Shane Warne’s immense bowling record speaks for itself – he played 145 Test matches for Australia and picked 708 wickets. One of the most brilliant minds of cricket, he is also considered as the best spinner of all time. Warne’s magical turning deliveries are still fresh in everyone’s mind, years after his retirement. 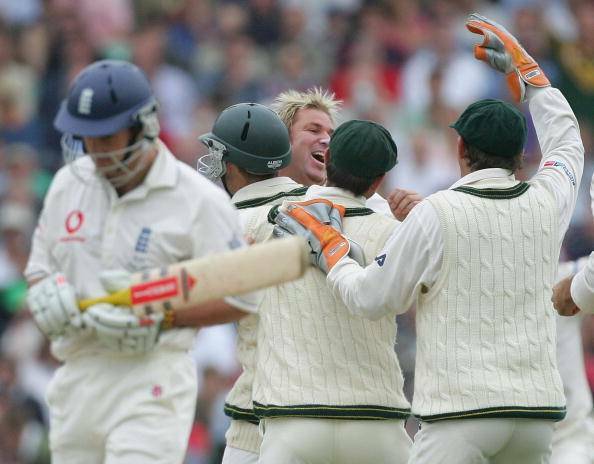 Exactly 10 years ago, he bowled one of the best deliveries of his cricketing career in The Ashes 2005. It was the last over of the second day, and England had already extended their lead to 124 in the second innings. The Australian leg spinner then produced a wicket out of nowhere. With Andrew Strauss on strike, the ball landed outside the off stump. Like most other batsmen would do, the England opener wanted to leave it without committing any shot to it. But that was the biggest mistake of the Englishman. He took the turn too lightly, and the leg break turned in sharply after pitching. Straus, in no position now to play it, left it and the ball disturbed the open leg stump to get him out bowled.